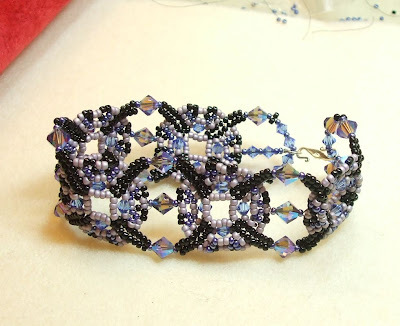 On Friday night I took a class to learn how to make this Ojo de Dios bracelet in Salem, NH. It was a wonderful class and only two of us there. The teacher was fantastic and fun to meet and I really had a great time. I couldn't wait until Saturday morning to get started on another piece of it, and get used to the pattern. Several beading hours later, on Sunday morning, I finished it. 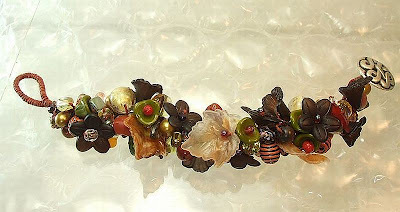 The beads I choose are nice, but I can improve on them. 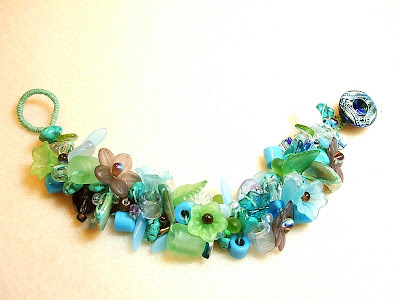 It is a really fun bracelet to make! Have a great day doing what you love to do.